From our files we bring to you what happened in the Mearns in history. 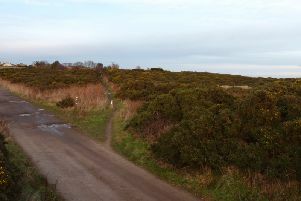 Fears that by opting for a completely new sports complex of pitches and changing facilities in the Dunnottar Woods, footballers would lose out - were expressed at a meeting last month between members of the Stonehaven and District Sports Development Trust and District Council officials. Chief Executive Tom Hyder called the meeting between officials of the Trust’s football teams and Recreation officer John Wombell and District Councillors. There was a commitment to have a new pavilion built at Mineralwell Park, and if negotiations were opened for a completely new site, this might be lost, said District Councillor Harrison MacLean. Footballers could fall between two stools and end up with no improvements whatsoever, he added. It was reccommended that the new pavilion be sited at the existing car park leading to Stonehaven Juniors’ walled pitch. Football officials were told that two new pitches could eb made available at Forest View, near the railway line, once the Mackie FPs rugger club moved from there to new premises. This was ground owned by the Regional authorities. A novel idea first put forward by the local Community Council to link Mineralwell and the new pavilion with Baird Park by way of a pedestrian bridge over the Cowie was also given the “go ahead”. Plans to have Stonehaven radio station ready to handle messages from those drilling for oil in the North Sea have been changed. The deadline for readiness was originally last May, and in March Mr K.W. Foster, officer in charge of the station, gave the opinion that the service might be ready by summer. Certain alterations have had to be made to the programme, and they may not be ready until the beginning of next year. “There’s really no great hurry, as drilling is not scheduled to start until early in 1966” said Mr Foster. Humber, Cullercoats and Stonehaven are the stations chosen to provide the service, and the two former stations had to be completed first. The oil companies have surveyed the area from Lowestoft to Peterhead, and Shell UK Exploration and Production Ltd. - also acting for both Shell and Esso - have staked 70% of its massive 7000 square mile claim in the more difficult and potentially less rewarding waters off Aberdeen. It will presumably be their traffic that Stonehaven will handle. These water, which will include the Kincardineshire belt, are 300 feet deep, and have been hitherto regarded as unpromising for prospectors. The drilling rigs each employ about 100 men. One can hardly realise that it is a year ago yesterday that this country was plunged into war more terrible than all the wars of history. The mind can hardly grasp the fact that it is already a year since the momentous decision was taken on the 4th of August last. Perhaps when all is said and done this dark days of tension in August when it was yet uncertain whether this country would be drawn, against the will of its people, into the struggle, and the still darker days a month later, when it was rumoured that the British Expeditionary Force had been utterly wiped out transcended in mental agony for all our countrymen anything we have suffered since. Even at the beginning of war, it was remarkable that this country, though realising that the war would entail dreadful sacrifice of the young life of the nation, was practically unanimous for war. Since then we have had ample example of what war as waged by the modern exponent of “Kultur” means. And the result is that, while, twelve months ago, there was, at a moderate one in a thousand who condemned the war, and our own share in it, at the present moment there cannot be a single true Briton who does not know in his heart that we must carry on the war, at whatever cost, until Germany is forced to give in.